It's a little known fact that pioneering Australian aviator Bert Hinkler's career took flight in Bundaberg's own Mon Repos Beach. Today the beach is better known as a popular tourist destination for the annual turtle nesting and hatching activity, which takes place between November and March each year. But back in 1912, a determined 19-year-old Bert Hinkler transported each piece of his home-made glider to Mon Repos beach by bicycle, before launching his virgin flight. While the effort only took him 10 metres above the sand dunes, it launched his career in aviation, and eventually the history books. Bert Hinkler was determined to understand aviation, teaching himself the rudimentary concepts via a correspondence course, before going on to construct two gliders of his own. It was his second glider, the one from which he launched his first flight on Mon Repos Beach, that Hinkler integrated his own designs. His revisions were based on photos he had taken of Ibis, a wading bird common the local area, in flight. Hinkler went on to enjoy an illustrious career in both commercial and military aviation, including serving during World War I, which led to a Distinguished Service Medal. Between 1920-1931 Bert Hinkler set many aviation records, with one of his most renowned to be the pioneering solo flight from England to Australia in 1928 and the first solo flight across the South Atlantic in 1931. However, pursuing his passion ultimately led to Hinkler's untimely death, as his plane crashed in Italy during his second attempt at flying solo from England to Australia. 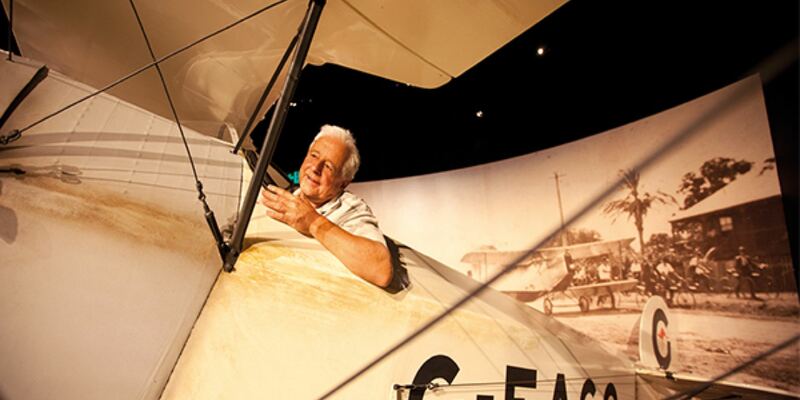 Today, the Hinkler Hall of Aviation and Hinkler House are popular tourist destinations for budding aviators. Hinkler House was originally built by Hinkler in Southampton, England, where he called the dwelling Mon Repos after the site of his first flight. The house gave birth to many of Hinkler's aviation escapades, including planning and construction of his 'dream machine', the Ibis aircraft. In June 1983, the house was dismantled and transported to where it stands today in Bundaberg as a memorial to Hinkler's remarkable life and achievements. Notably, the home is located in the Bundaberg Botanic Gardens with a view to the site where Hinkler landed following his successful flight from England to Australia on 27th of February 1928. Bert Hinkler's innovation and pioneering spirit put Bundaberg on the world map – and it all started at beautiful Mon Repos Beach!